The Trek Collective: IDW June, still no new Trek! Is IDW Trek dead (Jim)? Newsarama have released IDW's solicitations for June, and for the fourth month in a row there are no new Trek titles. This month also has, for the first time, not even any Trek omnibuses, reprints, or cuddly toys on offer! Give us something IDW please, there are trekkies just itching to throw some money at you! 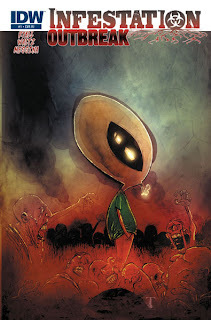 What June does offer is a follow up to Infestation: "Outbreak" looks at the fallout in the CVO universe with a crossover from IDW's Groom Lake series. Spinning out of IDW’s acclaimed Infestation series! The zombie threat is over, but at great cost to CVO, who must pick up the pieces, rebuild the team, and figure out what lasting repercussions there are in a world where magic was forever changed. 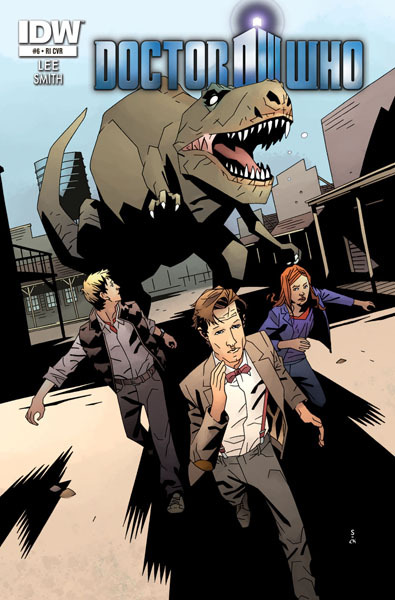 And a threat from beyond also brings in other familiar faces from across IDW’s developing universe!